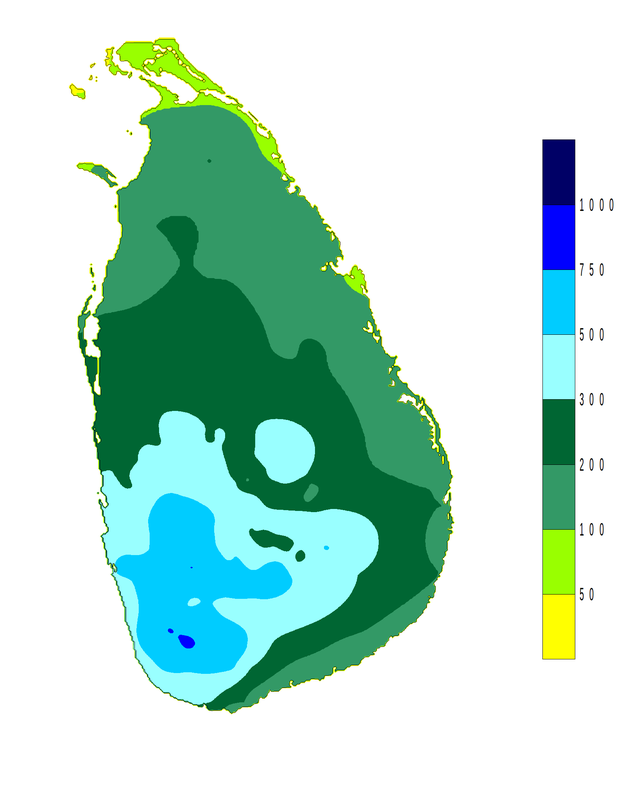 Due to the location of Sri Lanka, within the tropics between 5° 55' to 9° 51' North latitude and between 79° 42' to 81° 53' East longitude, the climate of the island could be characterized as tropical. 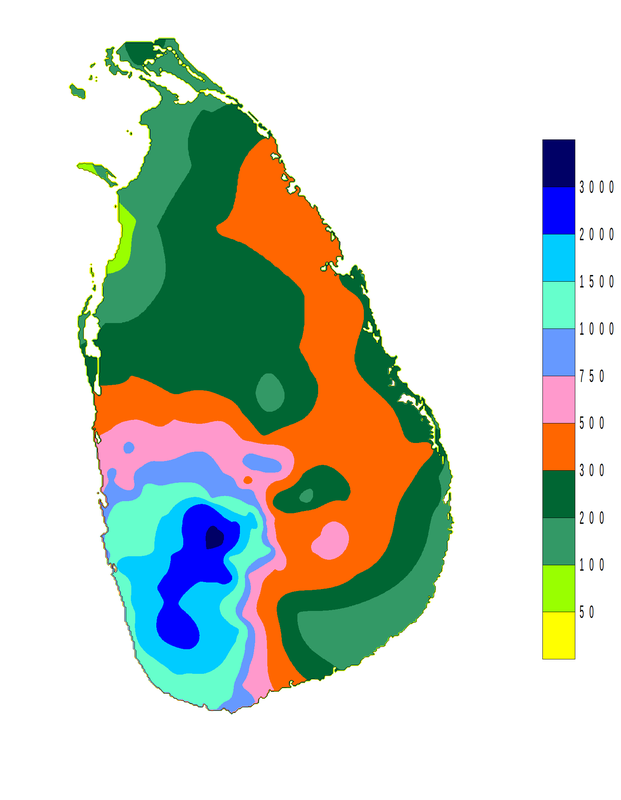 Rainfall in Sri Lanka has multiple origins. Monsoonal, Convectional and depressional rain accounts for a major share of the annual rainfall. The mean annual rainfall varies from under 900mm in the driest parts (southeastern and northwestern) to over 5000mm in the wettest parts (western slopes of the central highlands). (Fig. 1). 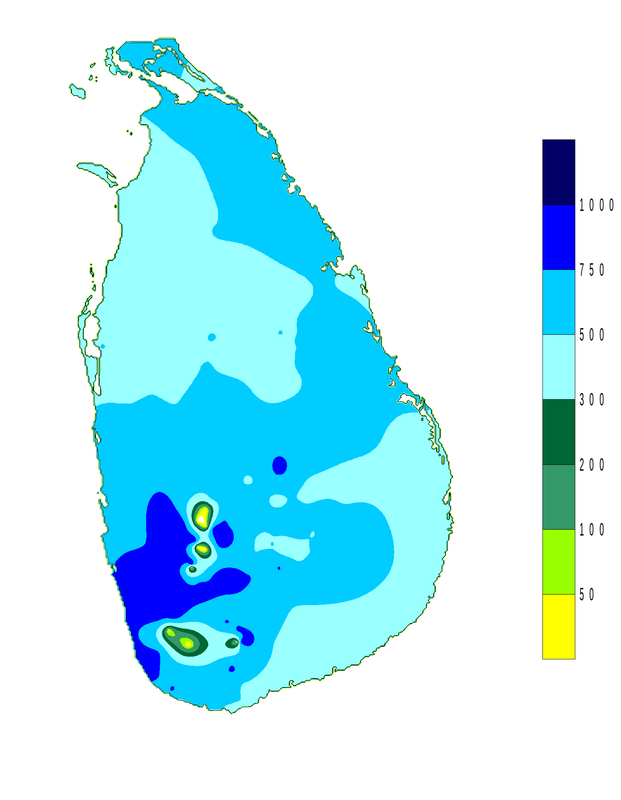 Regional differences observed in air temperature over sri lanka are mainly due to altitude, rather than to latitude. The mean monthly temperatures differs slightly depending on the seasonal movement of the sun, with some modified influence caused by rainfall. 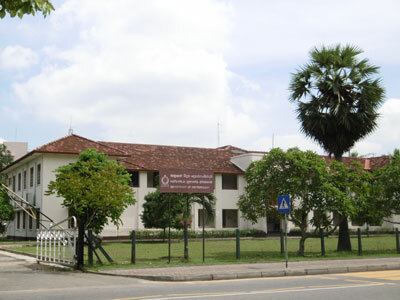 The mean annual temperature in Sri Lanka manifests largely homogeneous temperatures in the low lands and rapidly decreasing temperatures in the highlands. In the lowlands, up to and altitude of 100 m to 150 m, the mean annual temperature various between 26.5 °C to 28.5 °C, with an annual temperature of 27.5 °C. In the highlands, the temperature falls quickly as the altitude increases. The mean annual temperature of Nuwaraeliya, at 1800 m sea level, is 15.9 °C. The coldest month with respect to mean monthly temperature is generally January, and the warmest months are April and August. 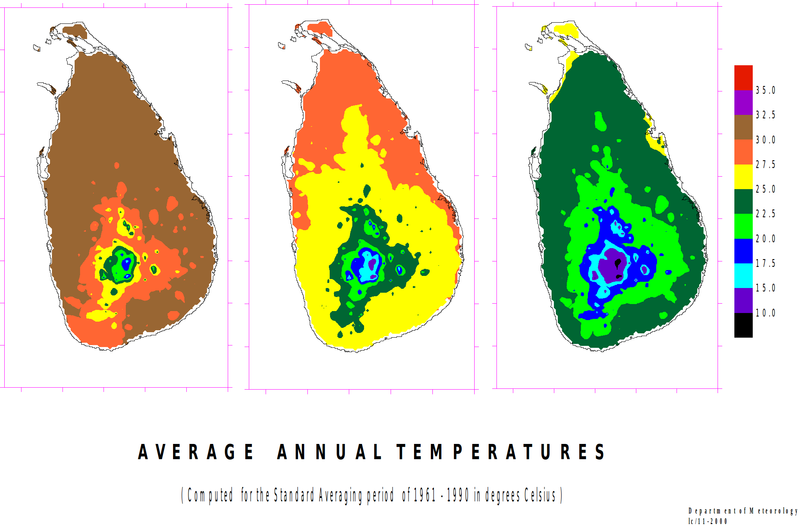 The mean annual temperature varies from 27°C in the coastal lowlands to 16°C at NuwaraEliya, in the central highlands (1900m above mean sea level). This relatively unique feature manifesting as sunny beaches to rain forests inland is a tourist attraction. 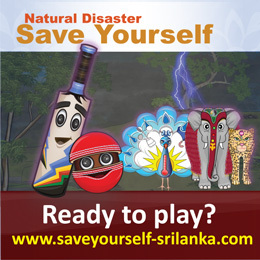 arm and uncomfortable conditions, with thunderstorm-type rain, particularly during the afternoon or evening, are the typical weather conditions during this season. 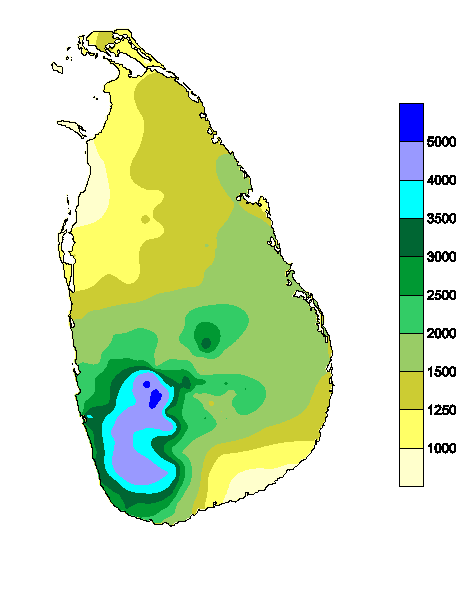 The distribution of rainfall during this period shows that the entire South-western sector at the hill country receiving 250 mm of rainfall, with localize area on the South-western slops experiencing rainfall in excess of 700 mm (Keragala 771 mm). 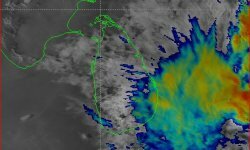 Over most parts of the island, the amount of rainfall various between 100 and 250 mm, the norteble exception being the Northern Jaffna Peninsula (Jaffna- 78 mm, Elephant pass- 83 mm). Windy weather during this monsoon eases off the warmth that prevailed during the 1st Inter monsoon season. Southwest monsoon rains are experience at any times of the day and night, some times intermittently mainly in the Southwestern part of the country. Amount of rainfall during this season varies from about 100 mm to over 3000 mm. The highest rainfall received in the mid-elevations of the western slops (Ginigathhena- 3267 mm, Watawala- 3252 mm, Norton- 3121 mm). 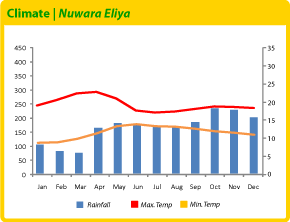 Rainfall decreases rapidly from these maximum regions towards the higher elevation, an in Nuwara-eliya drops to 853 mm. The variation towards the Southwestern coastal area is less rapid, with the Southwestern coastal belt experiencing between 1000 mm to 1600 mm of rain during this 5 month long period. 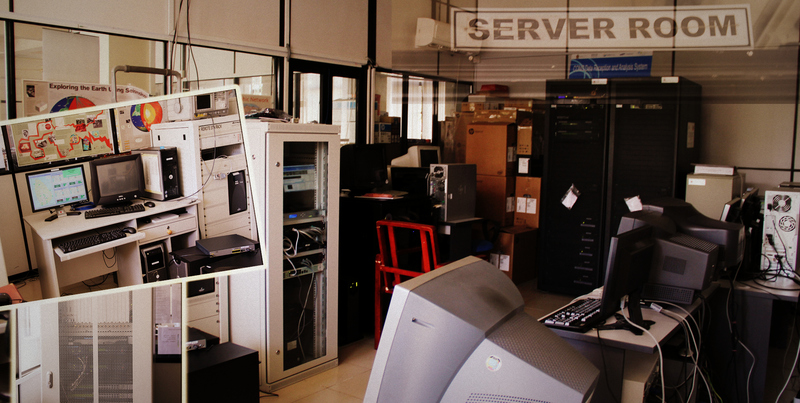 Lowest figures are recorded from Northern and Southeastern regions. The dry and cold wind blowing from the Indian land-mass will establish a comparatively cool, but dry weather over many parts making the surrounding pleasant and comfortable weather except for some rather cold morning hours. Cloud-free skies provide days full of sunshine and pleasant and cool night. 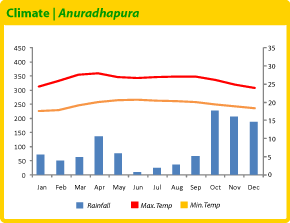 During this period, the highest rainfall figures are recorded in the North, Eastern slopes of the hill country and the Eastern slopes of the Knuckles/Rangala range. 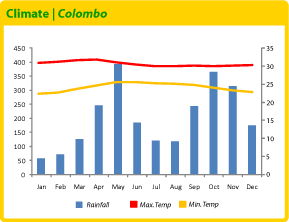 The maximum rainfall is experience at Kobonella estate (1281 mm), and the minimum is in the Western coastal area around Puttalam (Chilaw- 177 mm) during this period. 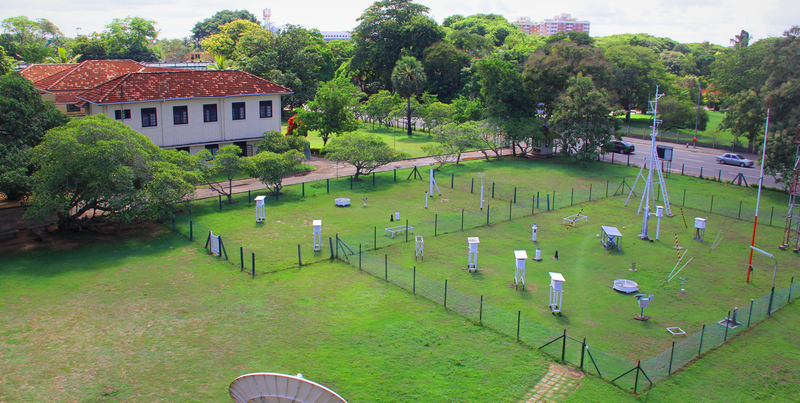 Sri Lanka's position between 5 and 10 north latitude endows the country with a warm climate, moderated by ocean winds and considerable moisture. 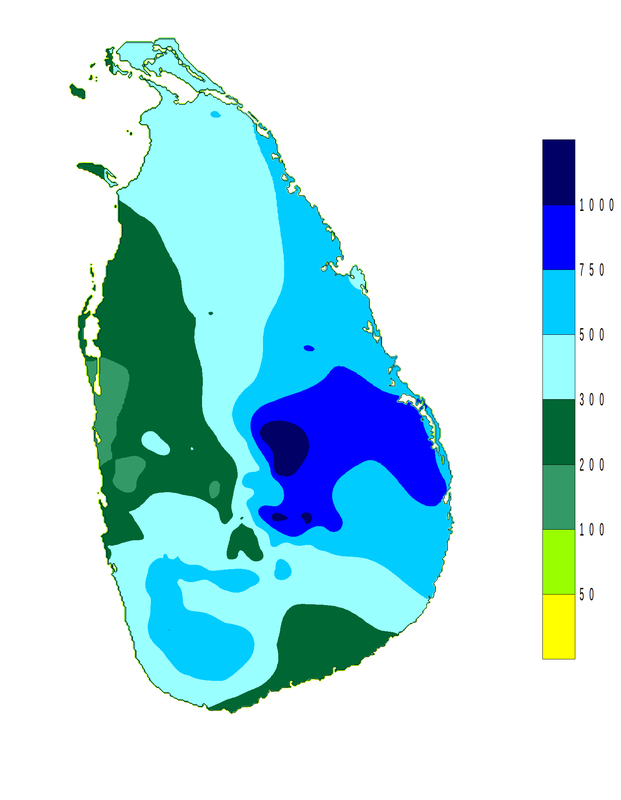 The mean temperature ranges from a low of 15.8 °C in Nuwara Eliya in the Central Highlands (where frost may occur for several days in the winter) to a high of 29 °C in Trincomalee on the northeast coast (where temperatures may reach 37 °C). The average yearly temperature for the country as a whole ranges from 26 °C to 28 °C. Day and night temperatures may vary by 4 to 7. January is the coolest month, causing people, especially those in the highlands, to wear coats and sweaters. 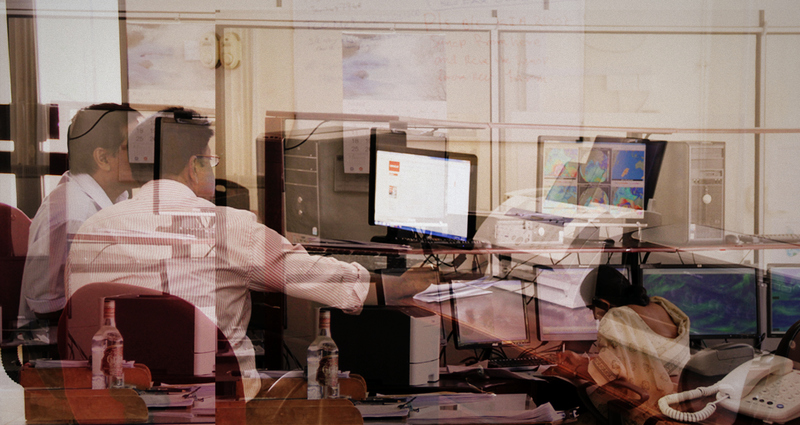 May, the hottest period, precedes the summer monsoon rains. 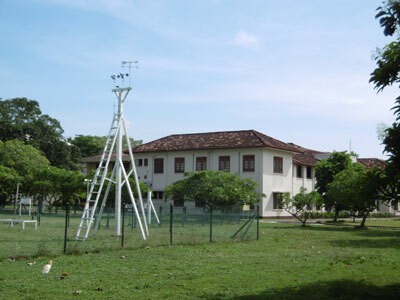 The Centre for Climate Change Studies was established as a part of the Department of Meteorology by the Cabinet Memorandum dated 11th June 1999 to address issues related to Climate Change. Assisting in consultations on Climate Change. 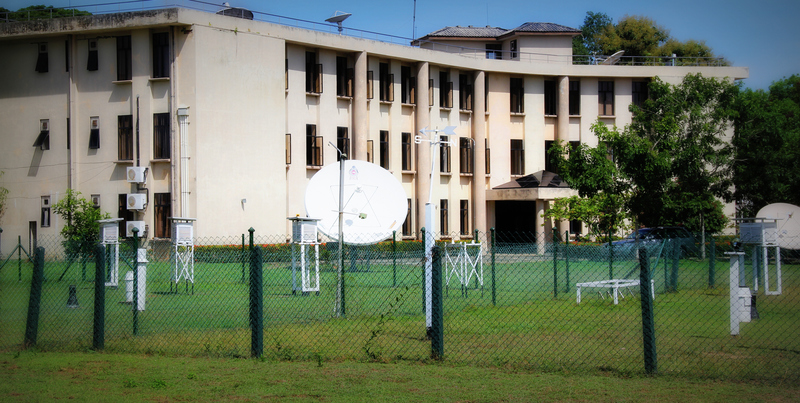 At present the Centre is housed at the Head Quarters of the Department of Meteorology and is guided in its activities by a Technical Advisory Committee consisting of senior scientists drawn from various disciplines.